My plants are thoroughly coated with stinky stuff…hope it works! Hi Laurie, Lisa has a good recipe–but I couldn’t find it on her blog. Will ask her to resend it. 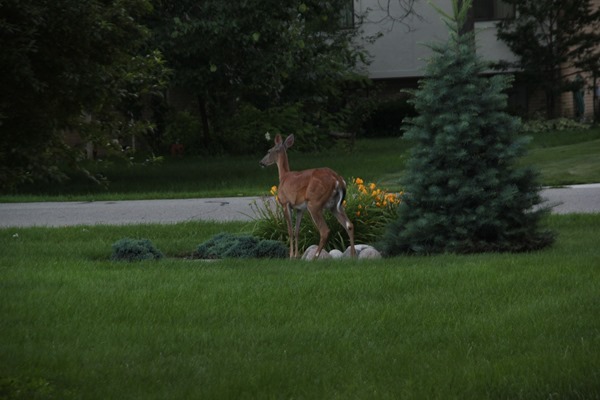 There are deer repellent sprays that can be purchased at the hardware store, like Deer Out. All repellents have to be reapplied after a rain, though! What is the stinky stuff? 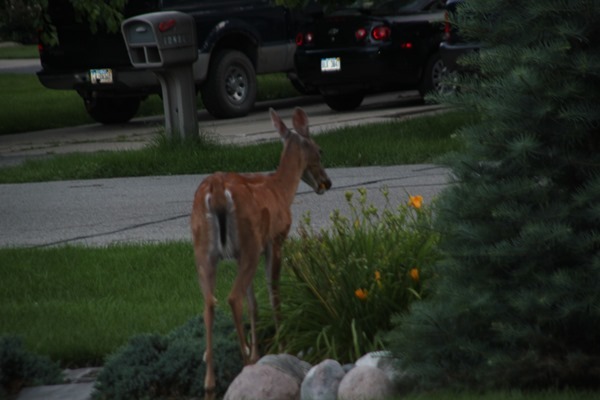 I think the deer have gotten to some of Mom’s hostas in the front garden. 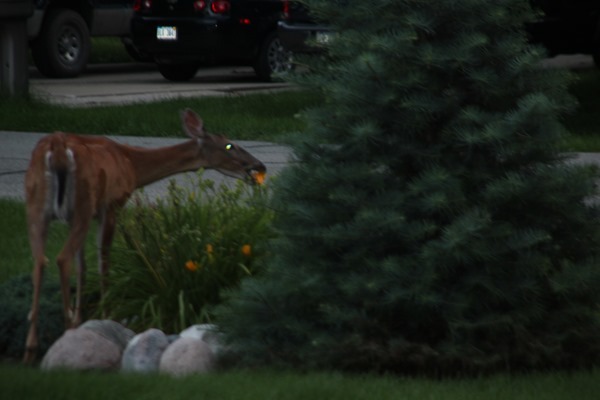 So far, mine have survived — maybe because the motion light come on when they get to that area. I heard they can smell lilies from 2 miles away! Hope it’s really awful smelling. Don’t tell her I have flowers too.